Snow will arrive around daybreak in New York City and continue until about noon. Areas to the north and west can expect snow to last longer resulting in higher snowfall totals. 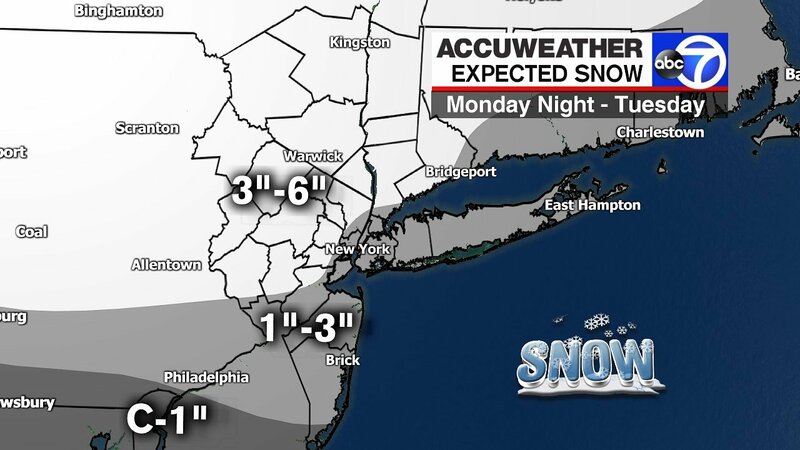 North and west of the city can expect at 3-6 inches of snow, while 1-3 inches is likely in the city. The snow will change to sleet, freezing rain and then all rain in New York City and at the coast, creating a slushy mess. North and west will go from snow to freezing rain. Ice will be the biggest part of the storm which won’t end until in the early hours of Wednesday morning. Wednesday will be very windy, which could bring down more trees and power lines. 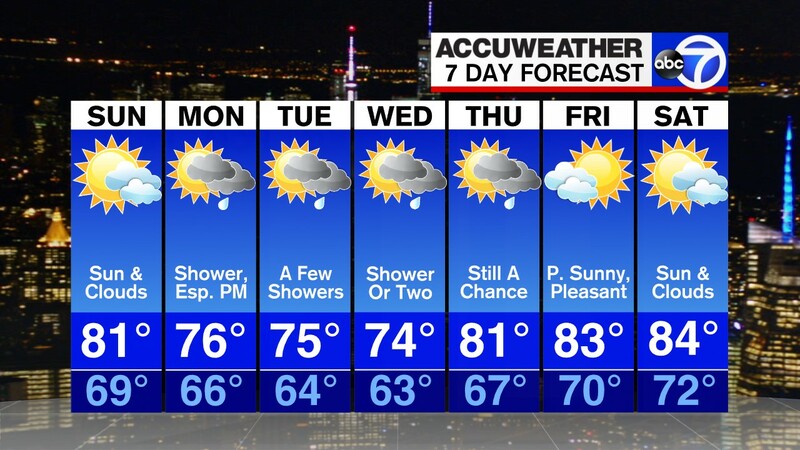 Here’s the 7-day forecast for the immediate New York City area. Snow, freezing rain, and sleet before 3pm, then rain and sleet between 3pm and 4pm, then rain after 4pm. High near 36. Wind chill values between 20 and 25. East wind 14 to 17 mph, with gusts as high as 28 mph. Chance of precipitation is 100%. A 20 percent chance of rain before 9am. Partly sunny, with a high near 45. Breezy, with a west wind 11 to 20 mph, with gusts as high as 39 mph. A 50 percent chance of rain. Mostly cloudy, with a high near 50. Sunny, with a high near 35.